As part of a healthy diet, would you like to include more fish but don’t know what to buy or how to combine it with other flavours? Maybe you’d like to show off your cooking skills to someone special but don’t have the confidence to do this without drying the fish out? In small groups of 6, we will come together and learn how to prepare delicious fish dishes that will be easy to replicate and compliment the natural flavours of fish. 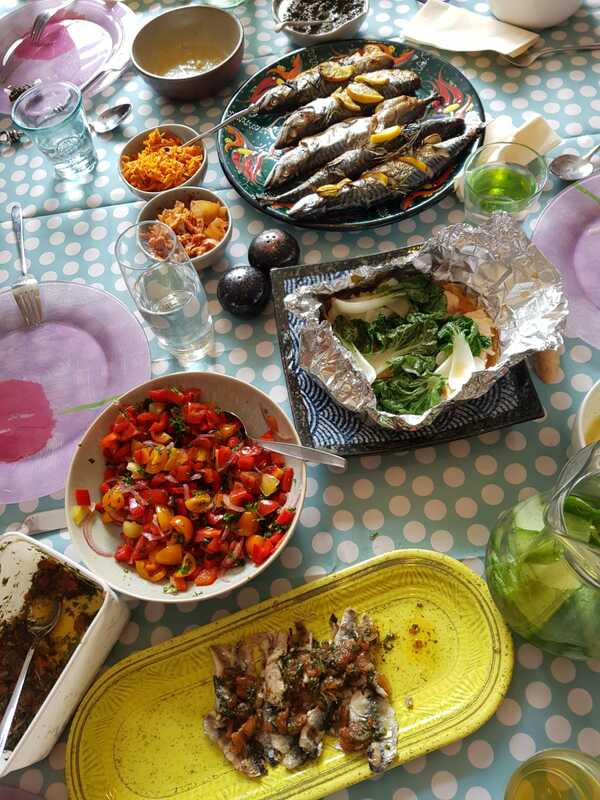 We will eat together and learn about the benefits of oily fish and their anti- inflammatory actions to help support auto-immune conditions linked to cardiovascular disease, rheumatoid arthritis, mental health and how this can support cell development and skin health issues. – Learn 3 different cooking methods that help to maintain the delicate flavours of fish. – Learn how to prepare dressings and sauces that help to elevate the flavours of the fish. Small groups of 6 people so that questions can be answered efficiently.